'Do you believe in fairies? Say quick that you believe!' - Peter PanPeter Pan is a narrative many of us believe we know well, and yet the J.M. Barrie play that premiered on a West End stage in December 1904 is not the depiction of Peter, Wendy, Hook, and Never Land that most people have experienced. It was the critical and commercial success of this particular play which propelled the notoriety an… d appeal of the story, and without the success of that first production, Peter Pan would not be such a familiar part of our mainstream culture. Lucie Sutherland examines how, and why, this play became so popular, why the trans-Atlantic collaboration of Barrie and Charles Frohman was vital to the success of the 1904 production, and how key versions in England and America have created an iconic narrative that remains popular today. 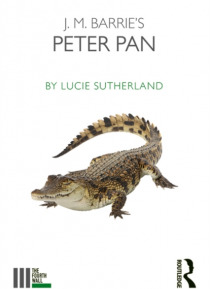 This book charts the 'awfully big adventure' of creating Peter Pan, as well as the many entertaining, enthralling, and often extraordinary ways the play has been adapted ever since.